Wates Construction is continuing apace to rebuild Copley Primary School and Moorside Community Primary School in Ovenden, Halifax. Work is continuing apace to rebuild Copley Primary School and Moorside Community Primary School in Ovenden, Halifax, with pupils and staff due to move into the impressive new buildings in the new term. The project was commissioned by Calderdale Council following its £8.6m investment that will see the creation of brand new, modern facilities including new sports areas equipped for football, hockey, netball and basketball. The finishing touches, including fixtures and fittings, are now being put in place by lead contractor, Wates Construction. When complete, the new school buildings will provide a state-of-the-art home for more than 500 Halifax pupils. Construction is on track to complete in time for the new academic year. The construction project has created new jobs for local people, and school staff and pupils have been involved throughout, including work experience opportunities, planting flowers, design updates and career talks. Our construction of the new school facilities for Copley and Moorside marks the latest in a number of education projects delivered by Wates in Yorkshire and the North East. These include the new £57m Quarry Hill campus for Leeds City College and the new £22.3m National Horizons Centre research and training facility for Teesside University in Darlington. It’s exciting to see the new school buildings really taking shape. We have invested in these fantastic new facilities to provide a top-class learning experience for local children to help them achieve their best. Enhancing local people’s talent is a key part of Vision 2024 to make Calderdale a place where people want to live, learn, work and invest. The year 2024 marks Calderdale’s 50th anniversary. Where do we want to be by 2024? What’s our ambition and what will be different? Get involved with the debate on Twitter with #VisionCdale2024 or find out more here. 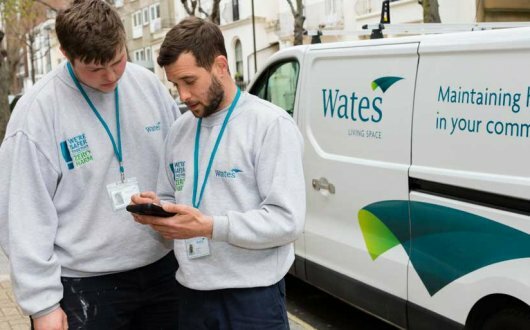 Wates Construction was appointed to carry out the build via its position on the YORbuild2 framework, which has been developed to provide an efficient and collaborative approach to the procurement of construction projects. The framework can be accessed by local authorities, public sector bodies or third sector organisations across the Yorkshire and Humber region, Sheffield LEP area, North East England and Lincolnshire.